Alma is a small town established in 1873, in Park County. Real estate for sale in Alma is generally less per square foot compared to nearby Breckenridge. Less than 300 people call Alma their permanent home, but when the surrounding subdivisions are included the population figure is tripled - and many home buyers are finding Alma is a great place for a vacation homes.. Most Alma-ites make a living in nearby Summit County. Alma properties boast stunning views of the mountains to the west of Alma - the soaring fourteeners: Mt. Bross, Mt. Lincoln and Mt. Democrat. These and other mineral-rich mountains in the Mosquito Range attracted more than 10,000 people searching for gold in the late 1800s. Nearly a ghost town by 1985, Alma revived in the late 1900s, as a bedroom community for the bustling ski resorts of Summit County. Breckenridge can be as little as a 15-minute drive from Alma, but is separated from it by the Continental Divide and traversed via by Hoosier Pass. 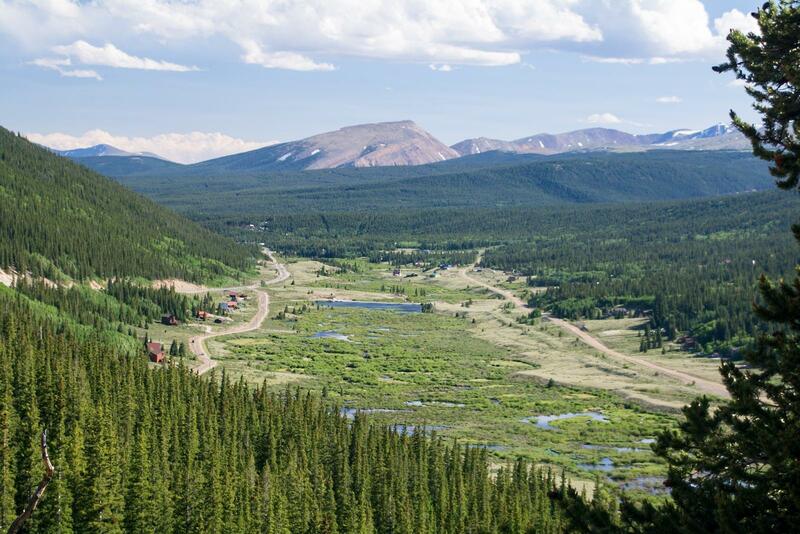 Property is significantly less expensive on this side of the pass, and the character is more rural, with significant amounts of undeveloped land and many large ranches in operation. While there is no Alpine ski resort in Park County, every home is this area would have easy access to skiing and hiking trails and spectacular views. For example, Placer Valley, an Alma suburb, was developed in tiers of homes that creep up the foot of the 14-thousand foot peaks. And the South Platte River begins here, in Alma. Placer Valley is just south of the top of Hoosier Pass - at 11,542 feet in altitude - which separates Summit and Park county. From Placer Valley it is about 15 minutes into Breckenridge, weather permitting. The views from the road that traverse the pass years dramatics views of both the Park County high peaks and the highest ones in the Tenmile Range. Quandary Peak, the only 14er in Summit County, is just over the pass. Find out more about Alma homes for sale by sending us a message online. We love Park County real estate and would be happy to discuss this area, or any other with you.